Micromax’s Canvas Selfie Lens Q345 has been officially launched. The new MMX Canvas Selfie Lens Q345 is entry level smartphone. Considering the price and competition it won’t appears to good value for money under 8K Rs. It will compete with ZTE Blade Qlux 4G, Xiaomi Redmi 1s, Yu Yuphoria, Micromax Canvas Spark Q380, Yu Yunique, Coolpad Dazen 1, Yu Yuphoria, Micromax Canvas Xpress 2 E313, Swipe Elite 2, Infocus M2 4G, Micromax Canvas Fire 4G Q411, Samsung Galaxy J1 Ace 4G and Xiaomi Redmi 2 Prime. Micromax Canvas Selfie Lens Q345 features 5.0inch IPS display offering 720 x 1280 pixels resolution. It is DUAL SIM smartphone with 3 connectivty . It runs on Android v5.0 Lollipop. It draws the power from Quad-core CPU cloaked at 1.3GHz integrated with 1 GB of RAM. The Canvas Selfie Lens Q345 comes with 8 GB of internal storage. It has 8 MP main camera can rec Full HD 1080p videos and 5Megapixel selfie taker.To make the device alive there is 2800 mAh battery which seems to be good. 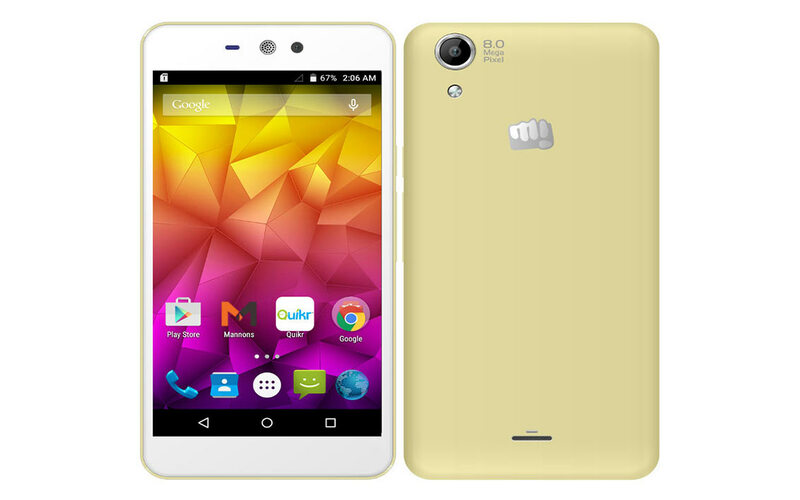 The Micromax Canvas Selfie Lens Q345 is priced at RS 8299.